So the last, 5-10 years is spent coaxing a wary public into showing them how games can be worthwhile and mature. That they aren’t the bastion of the awkward, or those attempting to escape reality. Then *bam*, “hey stick this on your face.” I fear we might enter a dark age. Some games are mature. Accept that or don’t. But the fact is that the team working on The Witness is trying to push the bounds of the medium in terms of game mechanics and, now technologically. The instant you try to limit innovation in any way, citing reasons like trying to manipulate the public’s (already flawed) perception, you stop getting “worthwhile and mature” games. A critique does not limit anything. It’s for reflection. There are less escapistic trends like augmented reality and gamification, running parallel to Oculus et al. And now for my opinion: Oculus reminds me of 3D glasses. It’s something Michael Bay would love to shoot a movie for, but it doesn’t widen the palette for expression. It just slams the colors a bit harder in your face. I don’t mean to condescend, but you clearly haven’t tried it. The jump between a standard FPS and a VR game is huge. They have different gsmeplay constraints (you can use headtracking in ways that you can’t use mouselook), and your psychological interactions with the user change. You can create experiences that wouldn’t mean anything on a monitor that are profound when you’re standing in the middle of them. It’s a big f#cking deal. Evolving technologycally doens’t exclude a evolution in terms of expression or maturity. Of course it doesn’t help either, but in a 3D environment this kind of immersion brings more fun to the game. It’s not something like a essential part of the experience, other way it the oculus would be required. It’s just a funny complement. “Doesn’t wider the palette of expression”?? You joking right? Developers are literally having to rethink how games are made with Rift. It’s going to completely change everything. I agree that playing to flawed perceptions is probably not the right way to go. But there is a political component that has to be recognized. I just don’t see, at all, any real use for this device other than immersion and as we know, immersion give’s us a small piece of a much bigger puzzle. From a gameplay perspective, what does it do that hasn’t already been explored in mech games or like magic carpet where you independently control body/head. I used OR and thought it was fun and everything, but I feel like kinect probably has more capability still than OR. I am sorry that it hasn’t been more utilized by people that aren’t just remapping regular inputs with posed ones. But the hype behind this really does strike me more like 3d movies than anything else. It is interesting to see this done well. And in terms of many other developers, I wouldn’t have a dog in this hunt. But Jon has a very anti gloss/polish slant and I think we he brings up something like this which will demand a lot more money from gamers and from a developing ‘beautiful games’ perspective doesn’t add much. Of course I could be very wrong, if anyone has a game chambered for this thing that will change the world, it would be here. I was terribly, terribly short-sighted about Steam too. Who knew? Really? Perhaps I’m misunderstanding your meaning here, but I get the impression Jonathan is quite a perfectionist. Now that I see the debate that your comment caused, I’m glad you brought it up. I was wrong to imply that your comment was somehow limiting creativity, when it was in fact facilitation discussion. Time spend gaming is time spend gaming – if you do it on a smartphone, a console or a computer does not really matter. Unless you prefer casual games you are likely to look for the most immersive experiences available and VR will allow for a fantastic step forwards. If you think it is less akward to touch a smartphone screen to make a little bird flat in a game that does not only offer the optics of a NES but the gameplay depth of a bad Atari 2600 title, then you might want to evaluate that. You’ve clearly never given anyone a Rift demo then. Not a single thing in the last 10 years (not even the Wii) have I seen impress and inspire non-‘gamers’ more than simple Rift demos. I don’t know anyone who still uses the Wii, gamers and non-gamers alike. I think VR will be magical, transformative, transporting… for a year or two. Then it will simply become a new baseline for experience. Don’t underestimate people’s ability to adapt to their wonder and then want More/Different. I don’t understand how adding oculus rift support makes this a better game when the primary game mechanic is guiding a line through a 2D maze. I feel like I’ve been waiting a long time to play this – and I’m worried the release will be delayed because of this elegant piece of procrastination. Sorry Jon – I’m your biggest fan – but don’t delay shipping the game for this technology detour. What I’ve gathered is that the game is about observing 3D space and creating and applying simple models for/to these observations in the form of line puzzles, so I think the Oculus has a great potential value here. Even besides that, OR support hardly needs to be justified. 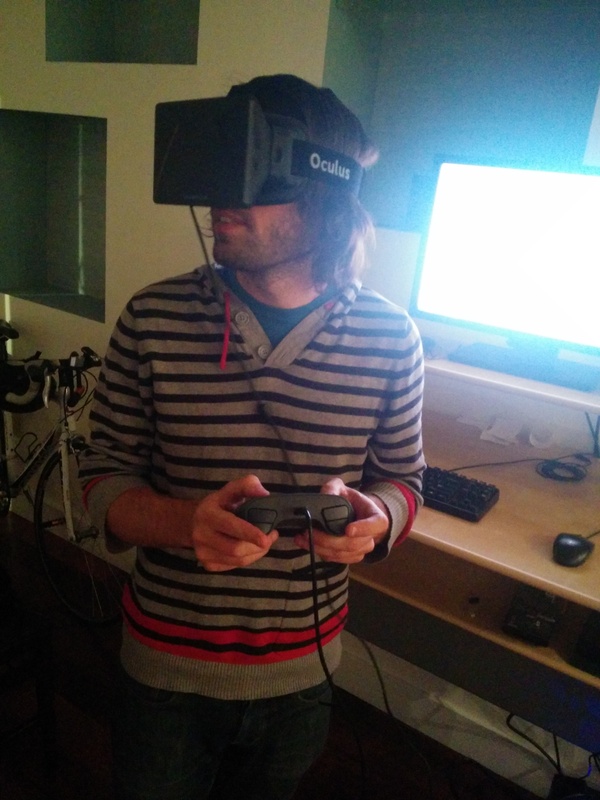 Jon thinks the new iterations of VR are cool, as do many people. I can’t believe this is such a massive undertaking that it will seriously delay the game. At worst it’s just a cool little gimmick that man people will be interested in experimenting with. …Um, …Nice comments? How about, “Hey, cool. You’re trying something new. That’s like, wicked pissah man.” I seriously doubt the main port’s release date was going to get delayed just for this device… Ye with little faith despite a long history of well thought out judgement calls. Seems interesting Jon. Enjoy the fun good sir. I meant no disrespect to Jon and the team, but ask him how many units of Braid he sold on Linux compared to other platforms. He, of all people, knows that each new niche platform you release on multiplies the support effort for diminishing economic (or artistic) returns. My only counsel (for what it’s worth) is to release on the platforms already announced and committed to: PS4, PC, Mac, iOS before worrying about others. Again – if I wasn’t anticipating this game so much I wouldn’t bother commenting, so believe me when I say I have the interests of Jon, the team and the final product in mind. I think Jon and the team are trying to capitalize on their suddenly acquired status as being one of the biggest 2014 games. The eyes of the world are on them, but we don’t yet know if the game itself has the kind of mass market appeal as another AAA. I, for one, see any way of attracting more people without compromising artistry as something good. ^Uh oh, the world’s getting grumpy again. How about, “Hey, cool. You’re trying something new. That’s like, wicked pissah man.” I seriously doubt the main port’s release date was going to get delayed just for this device… Ye with little faith despite a long history of well thought out judgement calls. Looks interesting! The Oculus support seems very nice for exploring the island, although as Phil pointed out it will be a bit redundant if most of the player’s time is spent solving puzzles. I don’t think it’s a real waste of time though, since exploration also seems like a big part of the game. As for Steam Controller support, would that really take much effort? I would assume that it just uses the default substitution controls for mouse + keyboard. In any case, it’s always good to see progress in any aspect of the game’s development! Unlike the others, I’m *super* excited for this support to be in the game. This game is more than just a puzzle game. It’s got atmosphere, and it’s in 3D. It’s practically screaming to use devices that let you feel like you’re really walking around the world. I can’t wait for the release of this, and then the support for the consumer version of the Rift. Who is the man in the top photo? I might also add it was a great feeling to have a chance to be that immersed in the environment I’ve been working for so long, it’s an amazing experience. I, too, am pretty unhappy that the developers are working on features as they see fit. I mean, they are in no way obligated to me in any way, but I saw some trailers and I don’t know how I might cope with the disappointment if the game doesn’t release soon. From the handful of previews out there, the game is clearly all about 2D line puzzles, so all that time spent with the beautiful scenery and unique visual style has been a waste. I don’t want this game to have wider platform appeal or enable new technology that millions of people are excited about. I just want it now… because… I just don’t think the developers of a game are in the absolute best position to determine what they want to work on. I hope my comments are useful to the team and don’t just layer on additional heartburn without adding anything meaningful to the discussion about the game. I must take exception to some points you have brought up. Sure, the puzzles consist of drawing 2D lines in a 3D world, but I don’t think it so simple to describe it that way. A puzzle is a puzzle. In Myst you flipped switches to solve puzzles. In other puzzle games it requires getting item X to point Y. Those puzzles are actually 1D; either you must click singular points in the right order or bring an item to a singular point. Neither are lines, just points, so its 1D. In other words, the puzzles are representational of some paradigm in the game’s environment. In fact, in order for these association-type puzzles to work, the player needs to translate meaningful data in the world to fit the conforms of the puzzle, so having the puzzles drop down to 2D plane is actually what makes the a puzzle in this game a puzzle! In the real world we often represent our 3D world in 2D. I am communicating with you via the 2D medium of written word in a 3D world. 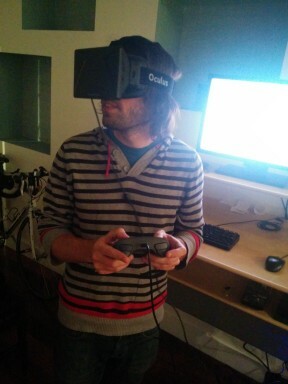 I think it is great Johnathan is adding support for steam controller and the Rift. He’s an indie dev so he can do whatever he likes with his games, and I think it is great that he is supporting new technology. Imagine the gaming industry as one big family that is developing and helping each other out. Johnathan is helping out the Rift, because some people may buy the Rift just for this game, and in turn the Rift is going to create new opportunities for new indie devs in the future. I applaud indie devs for supporting other indie devs and new technologies. They are making the industry a better place. We can wait a couple extra months for games that may change the way we play and the types of experiences we have. Cheers. Viktor was being completely sarcastic and facetious – to spite those who somehow think that adding Oculus Rift/VR support takes a large amount of resources or time, and those who think that they can better decide what the team should do with their time than the team themselves can. Personally I am very glad to see The Witness’ team adding support for so many modern technologies. It’s just another way that they’re really putting in as much effort as they can towards making this game as good as they know how to. I’m glad to see things like this because it shows they’re thinking about things from every angle. I can be confident there will be proper support for different resolutions, I can be confident most controllers will be supported within reason, I can be confident in the game altogether. Keep taking your time to make the game the way you guys want to. I know that no matter how it turns out it will be good to me, because you are all putting in so much effort and creating this project with scrupulousness. I am super excited about this! 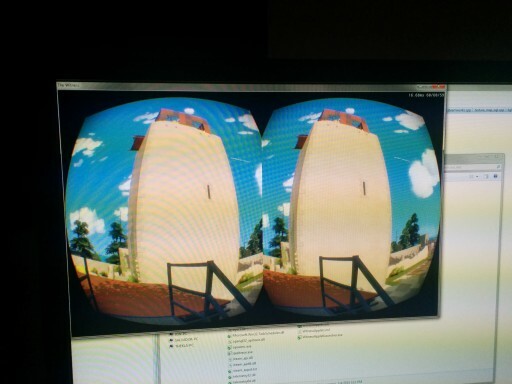 I’m totally going to play this all the way through with the Oculus. I would love if Hydra or Stem controller technology were implemented as well (I want to move those line puzzles around with my hands) I think a lot of you guys don’t understand what Jon is doing with this game. He said various times before the Witness that he didn’t want to do a 3D game, because it diluted the meaning of the game mechanics. If he made this game 3D, it’s going to be for artistic purposes. He didn’t make this whole beautiful 3D world to just keep the player doing a bunch of line puzzles the whole time. It’s going to be much more than that, and I think the Rift will accentuate the 3D experience greatly. Jon, thank you for trying new things like VR, alternate controllers, etc. I’m glad folks like you are willing to experiment in this risk-averse gaming landscape of cookie-cutter clones. It’s the only way things can ever move forward. Yeesh. I am not sure where these negative comments about the game having a new feature are coming from. There are quite a lot of us that have seen VR as a natural fit for The Witness for a while and are glad to see Jon be convinced and the team have time to give it proper support. For those that wanted this feature, complaining about it sounds like complaining that the game has some new puzzles. Yes. We all want the game to be done as soon as possible, and 5+ years is a time and a half to wait between releases from your favorite designer, but the idea that any of us would have a better idea of what the ideal usage of development resources than the people actually making the game is simply absurd. Now if the game were going to be exclusively released for VR, then I would see your outrage. This is simply a feature you can ignore if you aren’t going to use it. But if you decide to buy a VR headset in the coming years you will probably be happy to visit the island in The Witness again without resorting to a hacky driver that leaves you with busted menus and nausea. Regardless, at this point in development the design is nearly final and most of the work is in polishing. It is unlikely that supporting VR has delayed development by any significant measure. I understand everyone feels differently about the less common features of this project, like Oculus, but I think you folks are a bit nearsighted when it comes to the impact this could have. I don’t think the game will be about the 2D puzzles at all; I think the puzzles will be the interface for the way you experience and interact with the story and environment. If the game was about puzzles, I would not have such beautiful ate for my computers background (Thanks for those by the way!). I never really thought Braid was about the puzzles. I felt them more as a storytelling device for that chapter. One of my favorite titles, Shadow of the Colossus, was definitely not about killing giants. Personally, I can’t wait to see how the VR fits with the artistic vision. Next up, VR support for Braid?? Never heard of your game before, stumbled over it on r/oculus just now. GREAT! Although I´m no developer, I´ve been thinking about a game like that: Simply exploring a beautiful island, solving some puzzles or quests. No fast paced action, no shooting, no killing… This is what I want to do when CV1 of the Rift is finally there. When I was thinking about a game like that, I always imagined hyper realistic graphics, but I like this Nintendo-esque comic style very much. Can`t wait to be there. As OVR is aiming at a seated experience, I imagined floating or hovering on smth like a zero gravity wheelchair. What is it like in your game? Walking with the steam controller? At which speed? No-one’s saying don’t release on the Oculus Rift. Hell – that would be ridiculously cool. But the game can be solved on an iPad or a PC – so other than the feelings of immersion it’s not adding any essential gameplay. And if there’s one thing the team has been talking about since the game’s inception it’s been the gameplay. I think it is awesome we can experience this gorgeous island filled with interesting puzzles in Virtual Reality! Please take your time to make things fitting right, because when you decide it’s finished, there probably isn’t any time left to polish it up a little. So please don’t listen to the people that want you to rush and get it out already, just make it nice, it’s a special once in a lifetime creation. No need to take any exception to any points I brought up– it was all sarcasm. (Thinly veiled sarcasm, I thought… but I guess not.) I was making fun of the grumpy and impatient comments that offer generic, unsolicited, advice to the team behind The Witness. They have obvious talent and the creative motivation to make something cool, so why second guess them and pile on negative comments? I only assume it gives nothing but heartburn to the team. Besides, they are going to make the game they want to make anyway, and I am thankful for that. I got you and laughed to myself when I read your comment. I suspect the appreciators of sarcasm are not likely to text LOL when they think something’s funny. I know I sure don’t. Good stuff. So I thought I’d chime in and point out there’re probably a lot of people (such as myself) who are completely stoked that this is happening and that have great faith in the team. I normally wouldn’t comment for no reason other than simply to say “keep up the good work”, but: Keep up the good work! Very excited for this game. Very excited for virtual reality. Looking forward to this more and more. One day I’ll have to pick up a rift, this game would be perfect for getting accustomed to the thing, since everything is done at your own pace. I’m fairly sceptical about the steam machine controller but wouldn’t make such comments as “terrible” until I’ve actually used it. I only watched the last minute because I’m so terrified of spoilers. I really want to see the game in motion more, tho….. I couldn’t watch it either. But what’s funny and also sad is that there are still people in the comments who are like “pretty game but the puzzles look like a dumb flash game.” It’s still not enough for some people to even see the potential or think it’s interesting and for some of us it’s more than we wanna see. Facebook bought the Rift. Knowing John’s general reactions to the various aspects of Facebook, I’m curious as to how he’ll respond to this. Haha – I was just thinking the same thing.